Our Verdict: Cig-a-like models are White Cloud’s bread and butter. They perform well for what they are, but what brings the brand down a notch are the limited selections and high prices. The company’s only disposable e-cigarette model, the Fling is a surprisingly good performer. It’s larger than other disposables and houses a battery that’s more robust than other disposable e-cigs. Where other disposables last half a day, the Fling can last a day or more, depending on how often the user puffs. There are several flavors of e-liquid with which the Fling comes pre-filled. While not exactly the largest selection, White Cloud does provide a decent range to keep buyers coming back for more. Vapor production is also surprisingly good. Three puffs are all that is needed and the device will produce a cloud of vapor similar in size to other, more advanced, units. The price is reasonable, especially given its performance. Users can buy the Fling as singles, in packs of five, ten, 25, or 100. The bigger the pack, the more savings the buyer will get. Other disposable brands charge more for weaker performance. Because of this, the Fling is one of the best disposables beginning vapers can buy. The Cirrus 2 is White Cloud’s basic rechargeable battery model. While “just” a cig-a-like, it performs better than others in its class. A single, fully charged battery can last between seven and nine hours of vaping. This is very good for a cig-a-like. Other brands usually last for less than an hour. Like the Fling, it can produce decent clouds of vapor better than other cig-a-likes. The Cirrus 2 comes in a white or brushed metal finish and buyers have the choice between grey, blackout, or crystal ash tip. The grey tips glow orange, while the crystal ones sparkle in white. The blackout tips completely block the glow from the LED tip to provide users with a stealthy option. For its most basic model, while performance is above par, the only thing that holds it back is its price. Whether it’s worth it or not is for users to decide. An upgrade of the already good Cirrus 2, the third iteration of White Cloud’s rechargeable battery reduces charging times to just 60 minutes. Vape times are reduced to a still very good five to six hours. This is because the Cirrus 3 is smaller, measuring just four inches. The Cirrus 2 measures just a tad longer at four and ¾ inches, and while the difference may seem inconsequential; the Cirrus 3 is significantly lighter, as well. Compatible with the same cartridges as the Cirrus 2, users who upgrade to the Cirrus 3 will still be able to use their old accessories with it. Finish and tip options for the Cirrus 3 are the same as the Cirrus 2, and just like its predecessor, the price is a little steep for what it is. Users, who are not willing to pay extra to sacrifice battery life for the smaller size, should choose the Cirrus 2 instead. 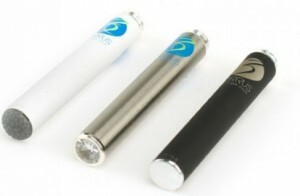 Otherwise, the Cirrus 3 is a good overall performer and it is able to produce good vapor compared to similar products. Considered as the true successor to the excellent Cirrus 2, the Cirrus 3x offers up to 10-12 hours of vape time on a single charge. Charging times take 120 minutes. The longest among White Cloud’s e-cig models, it is still pocketable, measuring at just 4.75 inches, including the cartridge. The Cirrus 3x accepts the same cartridges and accessories as both the Cirrus 2 and Cirrus 3, so users don’t have to spend extra money if they already have the accessories. Vapor production is also good; better than most other cig-a-likes. Finishes are available with the same options as the previous two models, as are the choice of ash tips. Price, again, maybe the deciding factor in whether or not one should buy the Cirrus 3x. It costs about as much as a complete cig-a-like kit from other brands, but the battery life is supremely better. If battery life is important, the Cirrus 3x is a good buy. There are a lot of choices available today, but if you have decided that the cig-a-like is the electronic cigarette for you then you will need a place that knows the type. This is what White Cloud is all about. They went all in on their brand and they have a great product to show for it. The great thing about what White Cloud puts out there is that you just know it is going to work like it should. There is no hesitation or anxiety about whether or not you will have to start all over again somewhere else. The Cirrus 2 is a starter kit that gives you everything that you need and then gives you a throat hit and vapor cloud that you would not expect. So you take a look at it again, just to confirm what you are smoking. Cirrus 2 is also compatible with all the standard and specialized cartridges that White Cloud sells. This includes the Cleardraw2 and any flavor that you choose. There is nothing at all wrong with the style factor either. The one advantage a cig-a-like has over any other model is the style. You will not be holding some strange box, you will have a state of the art device. 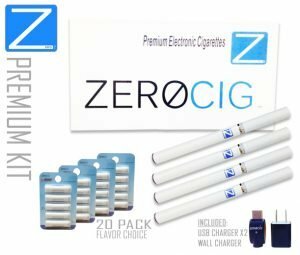 The advantages of these types of e-cigs is clear. Ready at a moments notice, pre-filled carts are very simple, very quick, and is perfect for those who prefer the no-mess way to vape. They have new promotions all the time to make it easier to shop online. But what about the downside? Even though the convenience factor is there with these e-cigs there are drawbacks. 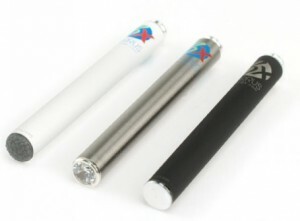 The limitations of the batteries and the capacity of the cartridges are always brought into question with these styles of e-cigs. While White Cloud does make a great product it is still somewhat limited. The Fling Disposable battery from White Cloud is a great device for new users (like vape starter kits). It performs very well for a disposable device, it is affordable, and the battery life is superb. The Cirrus batteries, on the other hand, may seem steep, but if you are willing to pay extra for extended battery life, then it can be worth it. Cirrus batteries are also available in various starter kits that already include a charger, extra batteries, and pre-filled cartridges. The kits are mix-and-match. For example, the basic Omni Starter Kit costs $39.95 and it includes three Cirrus 2 batteries. For a little extra, you can upgrade the batteries to a Cirrus 3 or Cirrus 3x battery. Users can also choose the flavor and nicotine strength of the cartridges included. Looking at the products alone, White Cloud produces some of the best disposable and rechargeable cig-a-likes. As an overall brand, they suffer from a very limited lineup of products and, more importantly, high prices. 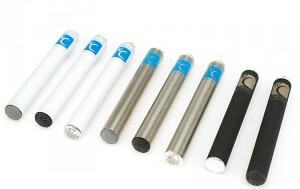 If priced lower, there is no doubt that White Cloud e-cigs would rank as one of the top brands. If they expand their line-up of products, they may even rank as the best. Unfortunately, that currently isn’t the case and that’s a shame. The Zero Cig E-Cigarette is a brand that quite honestly is completely boring. But click here and read on to find some better brands!